Anyway, what I want to share now is what I usually do when I run out of glue for my bookmaking projects. 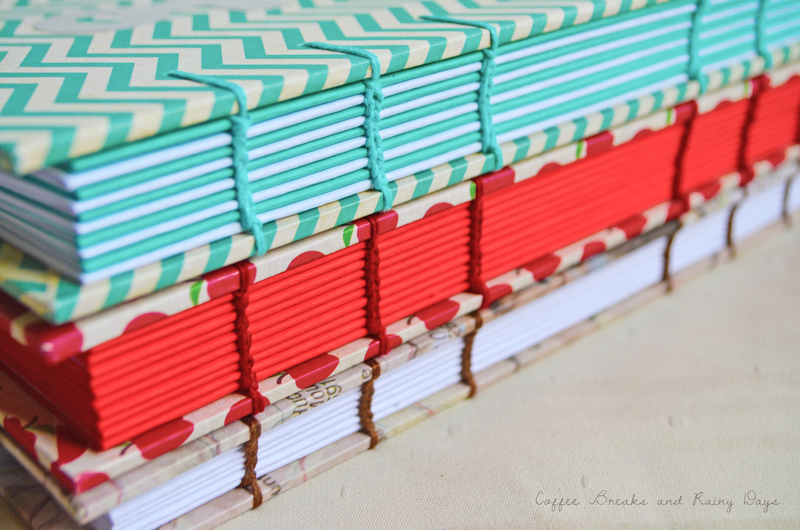 The very thing I like about Coptic stitch binding is it requires no glue, allows the book to lay completely flat (perfect for sketching, doodling or even writing), and you can even play with colors and customizing it according to what suits you by using different colored threads and using colored papers for the pages. 🙂 This is my favourite binding method next to hardcase binding. 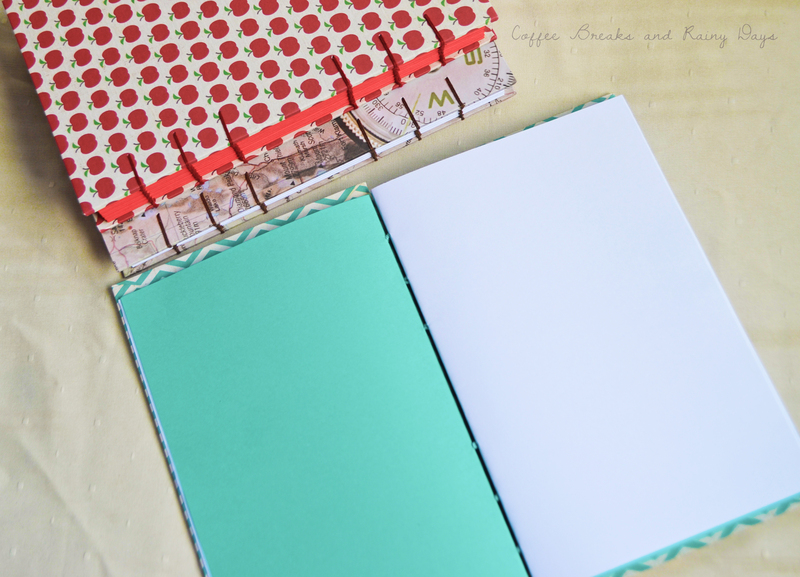 Add some fun to your journals by using colored papers that match your thread or cover! Coptic bindings are seen as the first “true” codices in book history. Dating from the second century, Coptic bindings use a multiple loop stitch to bind page sections to a front and back cover. This method of sewing together paged documents was common practice through the eleventh century (Peterson, 41). “True” Coptic bindings leave the spine exposed, but some later examples of this technique have been encased in leather wrappings (Peterson, 45). The Coptic method of binding was first used to bind together leaves of papyrus in Islamic Egypt, and evolved alongside the ever-changing book technologies, binding everything from parchment to vellum and paper books. This is another way I use because this doesn’t really need glue at all. All you need to have are some papers (the sheets depend on how thick you want your book to be), some sturdy colored paper (plain or printed, up to you), waxed thread and a needle. 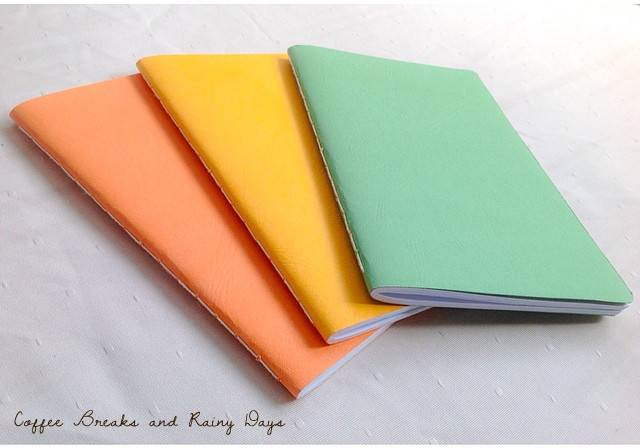 Just sew them together and you will have a journal in an instant. 🙂 I used a Saddle Stitch Binding with Thread method here. The other version of saddle stitch binding is using staples. This kind of binding is I think, the easiest. Saddle-stitching or saddle stapling or “booklet-making” is common for small booklets, calendars, pocket-size address books, reports, and some magazines. Several sheets of paper are folded (the fold becomes the spine of the booklet) and the booklet is either stitched along the fold (with what is basically an industrial sewing maching) or two or more staples are placed in the fold. Hi Ainee! 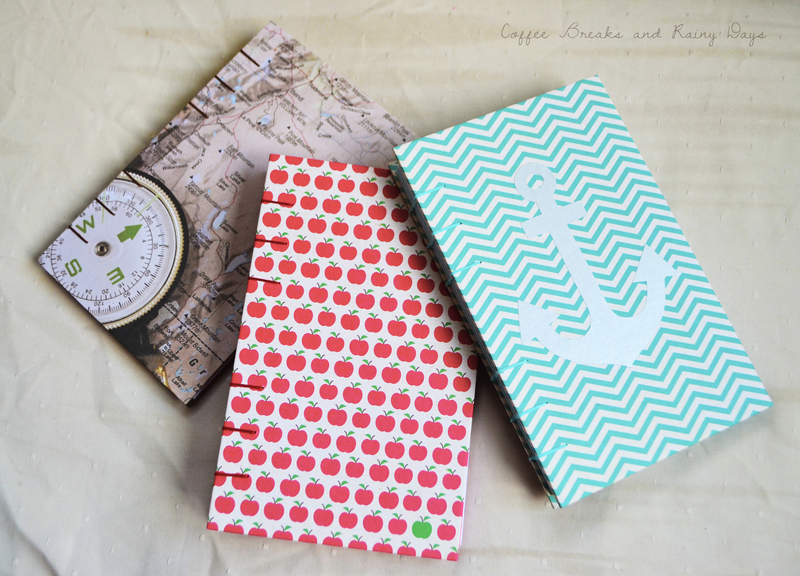 Thanks for this post- I’ve been meaning to make my own notebooks just to cut costs on buying too many hehe! Anyway, I wouls just want to ask, what do you use to punch holes in the signatures and covers? Hi Rouella, you’re welcome! About the tool I’m using for punching holes, I’m using push pins for now because I can’t seem to find an awl here sa aming place. If you can find an awl, it would be nicer since push pins are very painful sa fingers.